What is the Thomas Bullock Experience? We believe that learning does not just take place in the classroom, but outside in the school grounds, the local community and further afield. 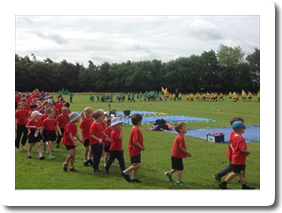 Throughout the year children will get the opportunity to be part of our Whole School Cutlure Days, go on exciting school trips and take part in music and sporting events. Up to four times per year, every pupil from every class comes together to take on learning challenges as part of our whole school culture days. Achieve good health and well being. Children demonstrate a wide range of skills throughout these days. Not only do they put into practice the skills they have learnt during the usual curriculum but they also practice and demonstrate dream work, leadership, co-operation, problem solving, organising, compromising, working to a schedule, budgeting plus lot more. Children work in teams lead by our year 6 pupils. Activities have ranged from Bollywood dancing to running a mini enterprise to design, build and test flood relief machines! As a result, our four cultural strands play a big part in a child's time at Thomas Bullock Primary. 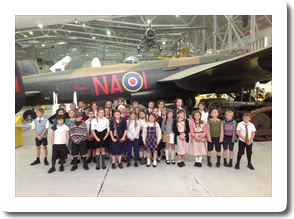 Throughout the year, each class will go on a number of educational visits linking to thier current learning. In the past year trips have inlcuded a day trip to London, a workhouse experience day at Gressenhall, residentials, Sea Life Centre, theatre visits, Norwich Castle and Bewilderwood. We believe that children should experience residentails to develop thier independence. In Year 4 children spend one night away at Horstead Activity Centre where they take part in activities such as canoeing and archery.In Year 5 children head to Holt Hall for two nights where the focus is on survival skills, artwork in the woods and geographical fieldwork. The week long residential for Year 6 takes place at Eaton Vale Activity Centre just outside of Norwich. Children face thier fears as they take on climbing challenges, canoeing and much more. Thanks to the Thomas Bullock Trust's generous contribution each year, many of the school trips are free of charge or at a heavily subsidised cost, meaning the children can experience much more than before. Thomas Bullock welcomes many visitors through the school year. 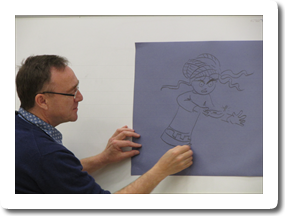 As part of our book week we often have an author come in to work with the children to explore different aspects of thier work. Recent authors include Shoo Rayner. Other visitors have included: a willow sculpturer who, with the children, created the willow dragon you will see in our school grounds; Breckland Councillors to talk to the children about how democracy works; Leicester Tigers rugby coach to teach the children rugby skills; an inflatable Planetarium which allowed the children to study the stars and planets. We also have a number of regualr visitors including Breckland's Youth for Christ who, as well as lead our collective worships regularly, hold Christian Festival Experience Days. Outdoor learning is an important part of the curriculum at Thomas Bullock. We have created different zones in which the children can explore the world around them. 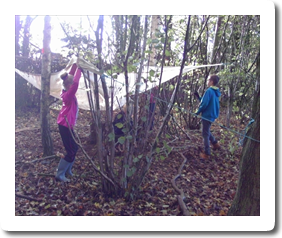 Within the school forest we have an outdoor learning zone, where children can take part in a range of activities including the popular meet a tree and den building as well as use the natural resources around them to create pieces of artwork or support thier literacy and maths skills. In recent ears we have extended our forest with the planting of an additional 400 trees! In 2016 our pond area was completely redeveloped by the by the Prince's Trust into our Science Zone. Here children are able to do pond dipping, explore different habitats and the mini-beasts they support as well as enjoy the peace and quiet around the fire pit. One of the Thomas Bullock's Trust key focuses is the provision of music to all children who attend. 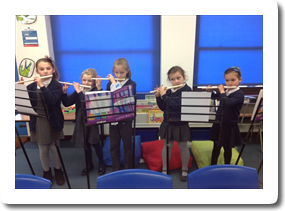 In addition to following the National Curriculum, it also allows us the opportunity to provide a large number of music clubs for the children to enjoy. These include: fife club, choir and boy band. 70% of the children have taken part in some sort of sporting activity.